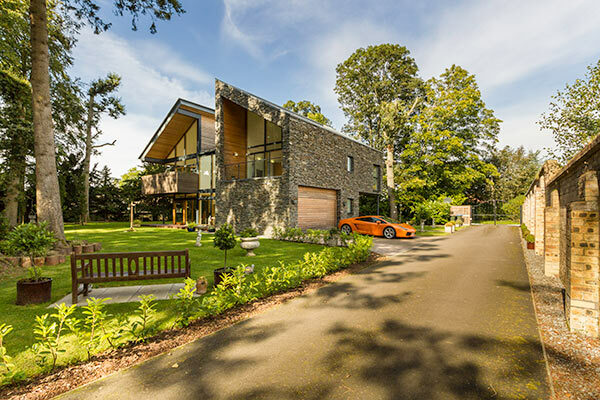 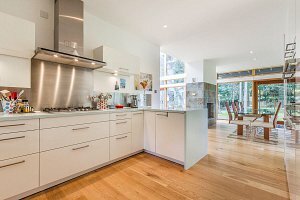 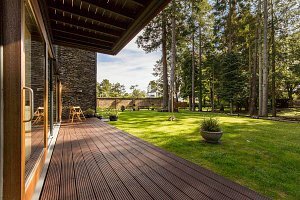 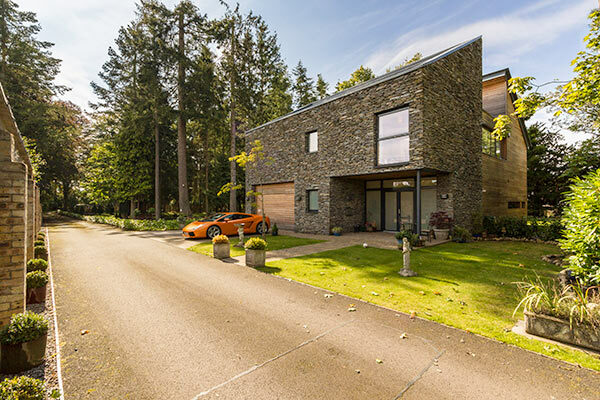 This house was designed to be in harmony with its surroundings of beautiful mature trees: douglas fir, scots pine, oak, larch, cherry and maple. 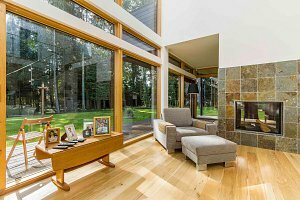 Two large volumes, one in stone, the other in wood create a compelling dialogue that speaks most eloquently in the double height space that forms the main living area of the house. 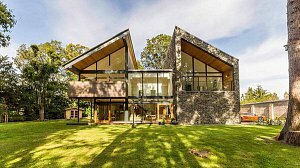 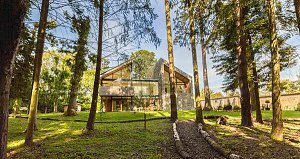 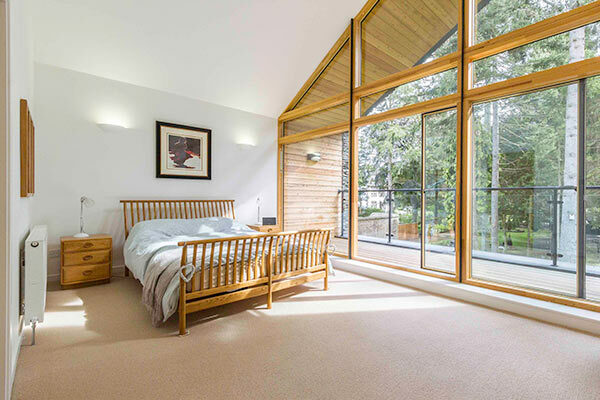 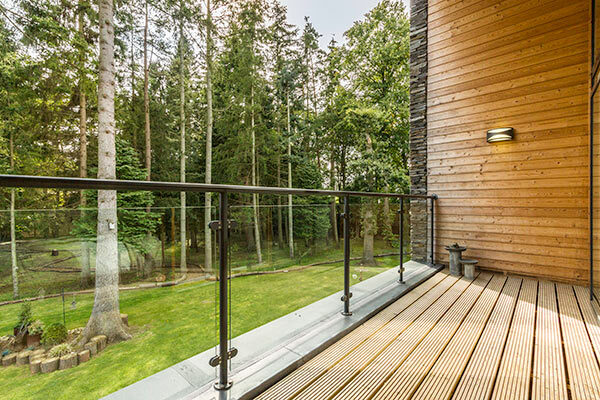 Here, glass panels and roof lights take in the full height of the trees outside, placing the resident at the heart of a wooded glade.